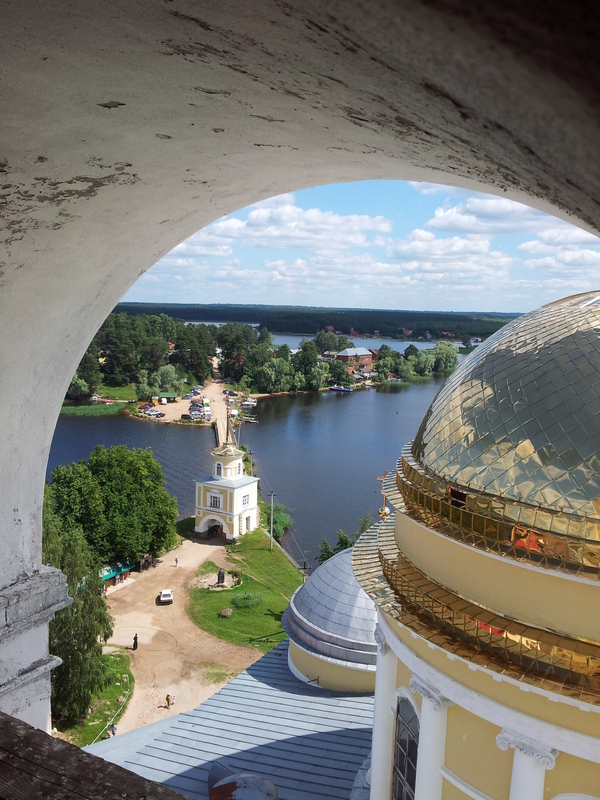 This photo was taken from the bell tower of Nilov Monastery, where we had a great view of the Seliger Lake. The Nilov Monastery amazes its size and wealth, it is popular with tourists from different countries. I visited this place to participate in the educational forum called "Seliger", where young people bring together to study and discuss issues in science, economics, art, literature and culture.